For decades, Chauntyll Allen has served youth in the classroom as a Saint Paul Public Schools employee. The Rondo native has also worked in the community in youth outreach, where she’s been focused on inspiring youth to choose positive paths in life. 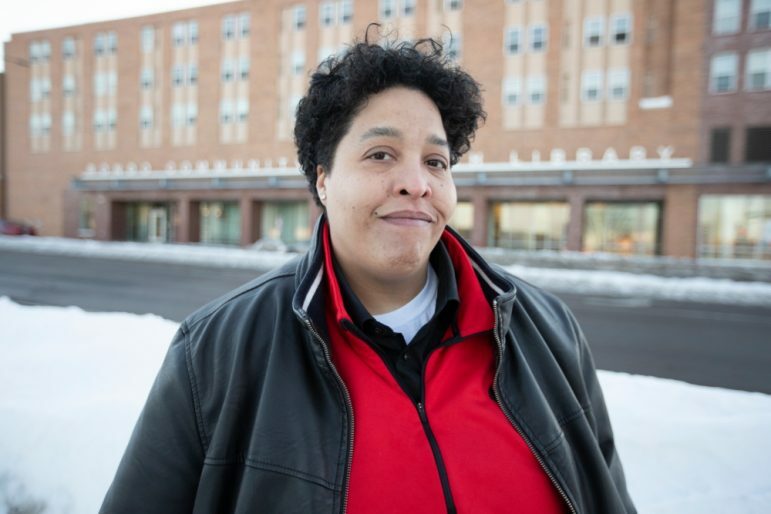 After experiencing issues firsthand that she wants to work on and effect change in the school system, the lifelong youth advocate and activist is now running for one of four open seats on the St. Paul Public Schools Board of Education. She says just working in the schools won’t help her meet her goals for student-focused and trauma-free education. We sat down with Allen to find out more about why she decided to run for the school board and what she plans to do if elected. MSR: What inspired you to run? Chauntyll Allen: I’ve been working off and on with the school district for about 12 years. I felt like there was a lot of resources lingering by a string out in the community, and I kept trying to be that bridge to pull those resources into the schools to help support the problems I was seeing. But the position I was in, it wasn’t working. I felt like I needed to get on the board and help people to get student-focused and start to change some policies from that perspective rather than just being a worker. The community also pushed me into this. [Last election], I even had people that contacted me and told me that they wrote me in. The last election I probably got 15 to 20 votes. The biggest way to deal with really controversial issues is to bring them back to the community and let the community weigh in on the situation. MSR: What’s the most important thing you want to accomplish if elected? CA: I want to bring the trades back into schools. A lot of kids are falling through the cracks and aren’t engaged in academics. They end up dropping out, or if they don’t drop out, they don’t have the skills to go on to college. The focus has been mostly on college-readiness in school. If they brought the trades back into schools, [students would] have some skills they could work with to have a livable wage after they graduate. I want to train paraprofessionals on how to deal with trauma. Our kids are being traumatized regularly because of the issues they deal with on the blocks they live on. We need to provide safety for our kids who are always going back into those areas of trauma every day through training paraprofessionals in how to deal with trauma in our youth. MSR: What’s the most controversial issue you think you’d have to deal with, and how would you deal with it? CA: As a lesbian Black woman who sits at the intersection, I have this conflict with intersex bathrooms. It’s something that the LGBTQI community really fought for for a long time. In the intersex bathrooms that are being installed in our schools, the door goes all the way to the floor, so you can’t tell how many people are in them. You can imagine in high school what kind of things are going on behind those closed doors. The biggest way to deal with the really controversial issues is to bring them back to the community and let the community weigh in on the situation. [Those are] the people that are really going to be affected by the policy decision. I don’t want it to become my decision to make. I think that’s where the people should get to step in and decide that. MSR: Who do you look up to politically? CA: Mitra [Nelson, St. Paul City Council]. I met her a few months ago — sat down with her for the first time a few months ago. I like how authentic she is and the work she’s putting in. Who inspired me? Toni Carter [Ramsey County Board of Commissioners]. I worked for her at ARTS-Us, and I just remember having in my mind that there’s a Black woman on the board. Ever since then, I’ve considered the school board position. MSR: What legacy do you want to leave? CA: As an advocate for youth, I was mentored by Katie McWatt. She was best known for laying down in the middle of the highway because they didn’t have enough African construction workers. She mentored me and left quite a legacy. I wear her on my shirt, and people come up to me and tell me that she changed [their] life. I want to leave that kind of legacy. For more information, visit chauntyllforschoolboard.com.